it easy to adjust. The Mares One Vision has small horizontal ribs between the frame and the skirt in the area around the nose. These ribs absorb and redistribute the pressure exerted by the frame onto the skirt, with a resulting increase in comfort. 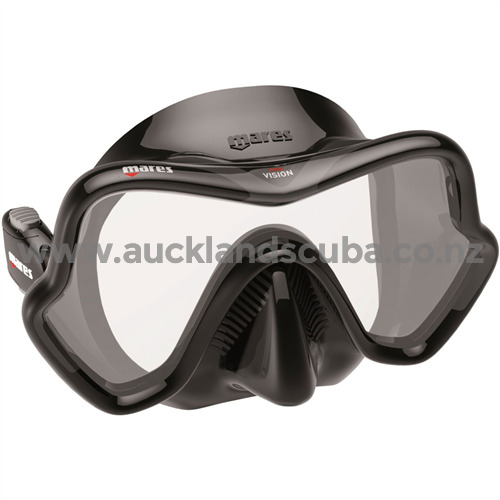 The Mares One Vision mask can easily be stowed in a pocket of the BC. The One Vision Masks low internal volume and its very light weight 7.6oz (200g) make it a great mask for the traveling diver. 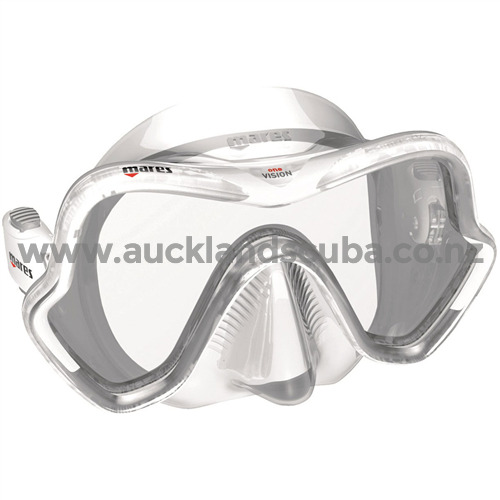 The One Vision has single tempered safety glass lens, a double feathered edge silicone rubber skirt and wide split mask strap, both features combined for added comfort and fit. Mask is equipped with an easy to reach nose pocket that allows one-handed ear equalization even when wearing gloves. Mask is available multiple color choices, comes with a mask box.